One of the largest and fastest-growing cities in Nevada, North Las Vegas. North Las Vegas is a city of it's own and has plenty to offer. There are hotel and gaming resorts such as the recently built Cannery Casino and Hotel and Aliante Station. The city is also home to the Las Vegas Speedway, Nevada’s only NASCAR venue. Nellis Air Force Base is located to the very north east part of the Las Vegas Valley, which includes the Weapons Museum, a must see for military buffs. 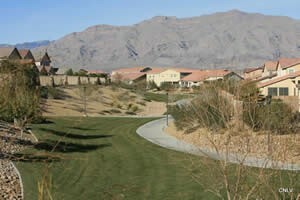 North Las Vegas also boasts many golf courses, museums and parks. The city of North Las Vegas is situated at the northern edge of the Las Vegas Valley, and sprawls to the northwest. Some of the communites are the age 55+ active adult community Ardiente. Other communites include Mesa Verde, Mountain Spa, and Rancho Del Norte.There are plenty of outdoor recreation in North Las Vegas including hiking, biking, fishing, boating, camping, and rock climbing. Visitors and residents enjoy visiting Lake Mead, the largest man made lake in North America, Mount Charleston and the Lee Canyon Ski and Snowboard Resort.